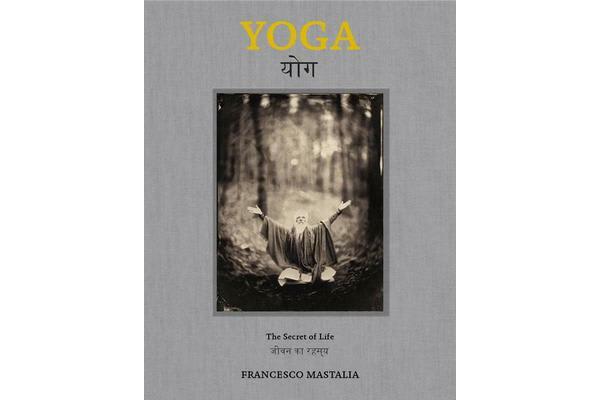 Yoga- The Secret of Life is a photo-documentary about the spiritual and physical journey of yoga. Through photographs and text this fine art book explores the personal experiences of 108 of today’s leading practitioners and how this ancient practice has transformed their mind, body, and spirit. The photographs are taken on glass plates using the wet collodion process, a photographic technique dating back to the 1850s. With the use of a large format wooden camera and antique brass lens, glass plates are hand coated to produce one of a kind ambrotype images. The collodion process transcends us to another place, another time. When light and chemistry collide we enter a mysterious world where art and science meet and the alchemy reveals itself. The photographs take on another dimension with the spoken words that accompany them. The text provides an intimate and enlightening account of each person’s personal journey. Beyond the physical postures Yoga- The Secret of Life delves deep into the purpose of our existence and how to live a happy and fulfilled life. It explores understanding who we truly are, why we are here, and what our ultimate purpose is on this planet. Included are world renowned yogis Radhanath Swami, Sharon Gannon, David Life, Gurmukh Kaur Khasla, Sri Dharma Mittra, Krishna Das, Tao-Porchon Lynch, Shiva Rea, Rod Stryker, Seane Corn and Rodney Yee.